Why Go to the 16th Annual Space Coast Birding and Wildlife Festival? The end of January is a cold time for those of us who live in the northeastern United States. This past January I had the great pleasure of temporarily escaping winter by going to the Space Coast Birding and Wildlife Festival. I had a great time and hoped to be back again in 2013 but life gets in the way sometimes and we don’t always get what we want. Fortunately for you the 16th Annual Space Coast Birding and Wildlife Festival promises to be every bit as good as the 15th and I highly recommend that you go check it out January 23-28, 2013. 1. Purple Gallinules. Need I say more? 2. American Alligators! How cool is it that you will be birding in an area with a reptile that could drag you under and kill you? 3. Amazingly cooperative waders. 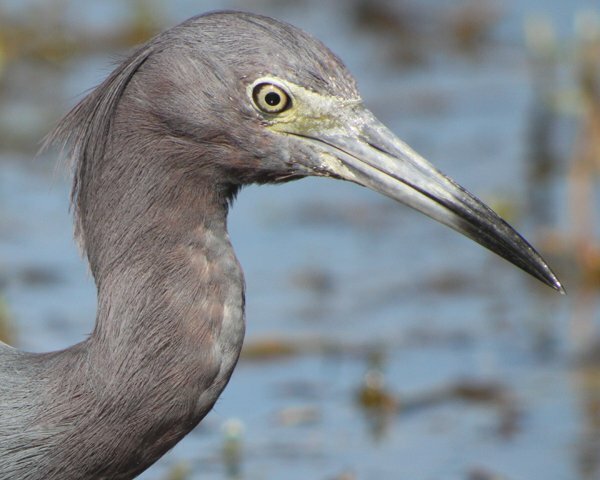 Such big beautiful birds should not allow such close approach but Florida is extremely blessed with confiding herons, cranes, egrets, ibises, and Limpkins. 4. Wildlife spectacles. Visiting Viera Wetlands or Merritt Island National Wildlife Refuge’s Wildlife Drive will let you see some big flocks of birds. 5. Nate is going to be there! Neither Mike nor I can go this year so Nathan Swick will be representing 10,000 Birds at the festival and blogging away during the whole thing. Make sure to track him down and ask him everything you want to know about bird blogging. Seriously, get yourself to Titusville, Florida, in January. Tell them 10,000 Birds sent you. And make sure to take lots of pictures! 10,000 Birds is a Scrub Jay-level sponsor of the 16th Annual Space Coast Birding and Wildlife Festival. Wow, that sound like so much fun, I will have to plan for that next year. Great blogging! I will be at the Space Coast Birding Festival for 2013. Great pictures! Will you be teaching a workshop again or just taking it easing and enjoying yourself? @Ricky: You should try to get there any year that you can! @Florida Space Coast: I won’t be there at all, sadly. A Buff-banded Rail in our garden!